For each available car scanner, there are a dozen online reviews, the vast majority of which drone on for thousands of words and ultimately leave the reader no clearer on whether or not the scanner in question is right for them. Allow us to remedy such reviews today. 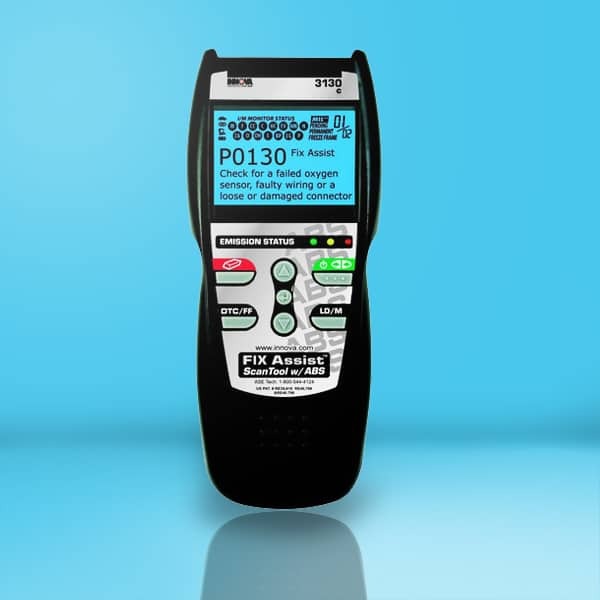 We’re going to be examining the Innova 3130 with no fluff, just the information you need to decide if it is the right scanner for your vehicle. Innova has long been the go-to car scanner manufacturer for mechanics and DIYers alike. If you fall into the latter category, you will want to pay careful attention to the brand’s 3130. Considered by many to be among the finest hobbyist car scanners on the market, the 3130 boasts FixAssist technology, live data, and multi-vehicle compatibility. Innova has made both black and white screen and color screen models of this scanner available, with a Bluetooth model also currently on the market. The Innova 3130 was designed to be used primarily by DIYers, so you should go with one of the brand’s more professional offerings if you’re a mechanic searching for a car scanner for daily use. At close to $220 in price, the 3130 is far from ideal for those with only a passing interest in their vehicle. If you’re searching for a scanner simply to have one for when you need it, this is most definitely not the model for you. If you are a car lover and frequently repair and alter vehicles for the sheer fun of it, you’re going to have a hard time finding a more impressive car scanner than the 3130 without spending extra on a professional model. When you open the box in which your Innova 3130 comes packaged, you will find the scanner itself, along with 3 AA batteries, an insert card, an OBD2 cable, and a USB cable. You’ll also receive an owner’s manual to help you familiarize yourself with the workings of the device. The Innova 3130 is about as feature-rich a car scanner as you’re going to find without dropping upwards of $250 on a professional model. Among the most noteworthy features of this scanner is its FixAssist technology. This FixAssist technology enables the 3130 to provide the user with the most likely fix for primary diagnostic trouble codes, removing guesswork and making for more timely repairs. Meanwhile, this scanner has the ability to stream and record two real-time live data parameters, providing a more detailed breakdown of your vehicle’s condition. We mentioned a little earlier that the screen of the Innova 3130 can feel a little cramped. Thankfully, it is possible to view your vehicle’s data on a larger screen by connecting it to a Windows computer. Many experienced car scanner users prefer to view their test results on a computer screen as it grants them access to a greater selection of data at once, making it easier to identify a problem. The Innova 3130 can be relied upon to read and clear “check engine” warnings on virtually any foreign or domestic 1996, as well as on OBD2 cars, trucks, SUVs, and hybrids. It can also be trusted to read and eradicate ABS trouble codes on the vast majority of OBD2 domestic, Asian, and European vehicles. For a hobbyist car scanner, the Innova 3130 is a tad on the expensive side. In fact, there are some professionals who would balk at spending upwards of $200 on a car scanner. Those who have purchased the 3130, however, have rarely had anything negative to report. In the eyes of many Innova customers, the 3130 more than justifies its price tag through its FixAssist technology, near total compatibility, and data streaming and recording capabilities. To further sweeten the deal, Innova promises customer support in both English and Spanish from ASE-certified technicians, meaning no problem with your particular unit will go unsolved and virtually ensuring years of use.